Zablon is a GIS Research Analyst II working in the Water Program. 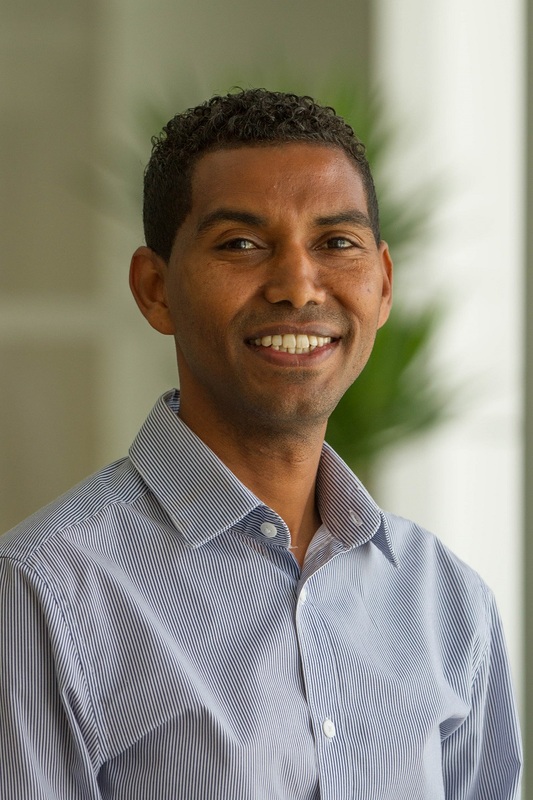 He is currently working on water risk analysis and mapping project and researching opportunities to reduce water stress and improving resilience to climate variability in Ethiopia. Prior to joining WRI, Zablon worked as an Integrated Water Management Specialist with the Nebraska Department of Natural Resources, evaluating surface water and groundwater supply and demand as an integrated system to ensure water availability for irrigation, industrial, and domestic use across Nebraska. He has also done research on the impact of grassland afforestation and land use land cover changes on groundwater recharge rates in the High Plains Aquifer. Zablon holds a PhD in earth and atmospheric sciences, hydrogeology specialization, from the University of Nebraska-Lincoln. Zablon’s main interests include traveling, playing soccer, and supporting Manchester United FC. Ethiopia, the fastest growing global economy, aims to increase prosperity for its citizens. Climate change, conflicting water demands and watershed degradation could stand in its way. Sustainable water management will be essential to maintaining Ethiopia's progress.